We are working on a new feature for tracking impact as an advisor on GrowthWheel Online. 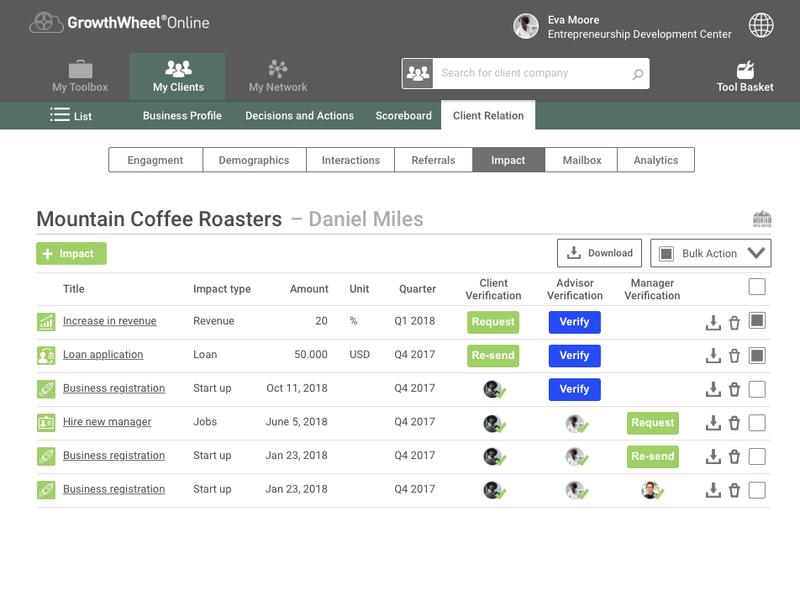 Our Client Relations menu will soon have many more options including more advanced Interactions, and two new tabs: Referrals and Impacts. 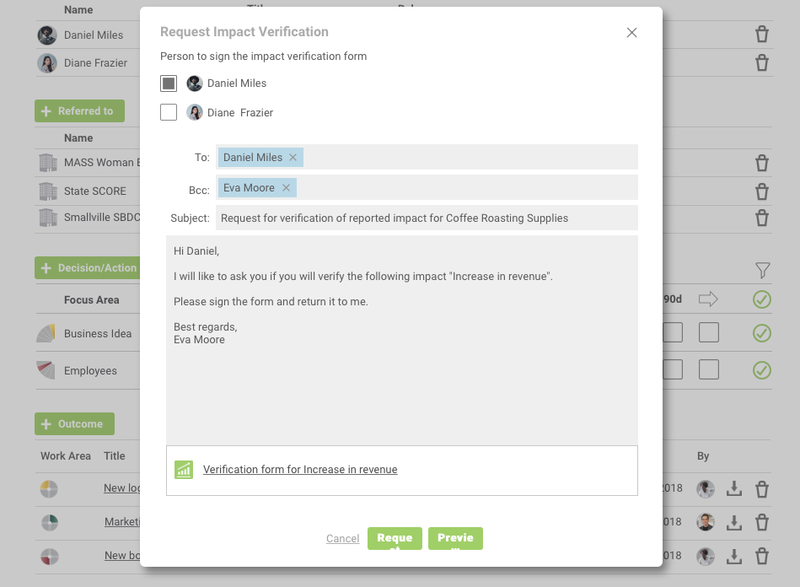 By adding a new impact, you create a verification form that can be used as a succes story of your help to the client’s business, e.g. verification form for Increase in Revenue. Below, you can see the first mock-ups of how it will look like. Add more details and request a verification from your client. An email template will appear to request your client to sign the form. You can edit the email. 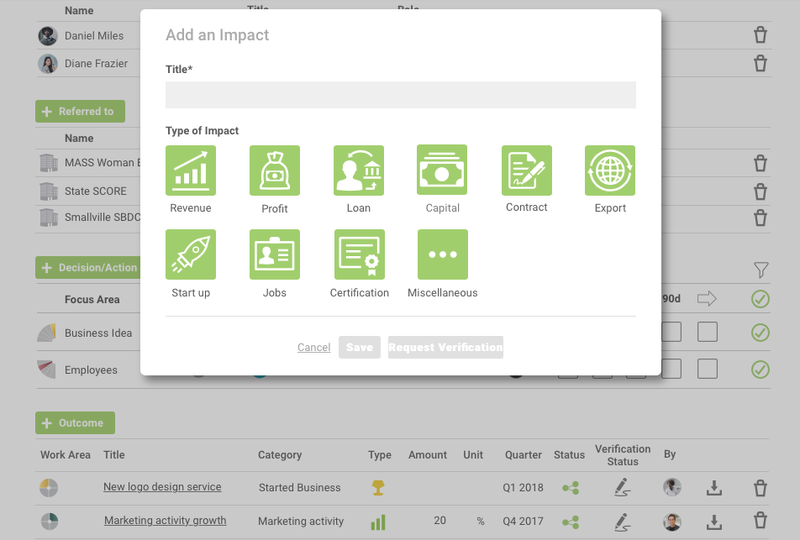 Find the impact you created in the impact list, where all impacts are categorized on impact type, amount, unit, and quarter. Here you can also view the status of each verification. Request your client to use their business as a success story and download the impact validation form as PDF.